In the first reading from the Book of Wisdom we see the great plan that God had in His mind for humanity; creating us in His own image. Everything was good until the devil entered into the world and became the source of death because of his envy. Those who remain close to God continue to experience His goodness even in the midst of trials, but those who give into the temptations of the devil become confused and unhappy. However, that is not the end. God’s plan continues. In the Gospel we see two separate people approaching Jesus for a cure. They both believe he can perform a miracle and Jesus responds to their deep faith. Jesus is the generosity of God in human form, wanting to restore humanity to the perfection with which it was created. With one word he could have made all things new, but it is his desire and the will of the Father that each of us individually cooperate with the generous gifts he has given us; that we have the same deep faith as the two people in the Gospel who asked for a miracle. In baptism we received the gifts of Faith, Hope and Charity as well as the gifts of the Holy Spirit and became children of God. And because he also gave us a free will that often puts us in conflict with his great plan for us, he established his Church and the sacraments so that we can be renewed in his love and his mercy. Of course this renewal depends upon our faith, it is not automatic. In this country we have become accustomed to efficiency. We expect things to happen at our convenience. God is not efficient. He does things in His own way and in His own time. We can become impatient with God. This is the reason people go to fortune tellers and look to astrology among other things. God has forbidden these things because they undermine our trust in Him. The question to us is: do we have the faith to put our total trust in God and what he has revealed to us? If Jesus were standing here in this church speaking to us and you wanted to be healed would you have the faith to touch his garment, believing that is all you need to do to be healed? The reality is, Jesus is here in His Word that was proclaimed to you, in his priest ordained in his name, in the assembly gathered to worship him, and par excellence in the Eucharist. We have the possibility of touching his glorified Body and Blood. Are you ready to receive your God? What will you ask of him? Would you be willing to listen to what he might ask of you? Because this Holy Sacrament is meant to be an experience of the generous love of God, He expects us to be gracious in our reception. Our soul should be free from serious sin and we should not be harboring any unforgiveness, bitterness or resentment. Our Lord wants us to be free from the things that enslave us. We should prepare ourselves for this supernatural gift by frequent confession, daily prayer and continued spiritual formation. It’s also good to read the readings of the Mass ahead of time. Because this hour we spend together worshiping God is like no other hour and the Gift we receive is Jesus himself, we fast for one hour from everything except water and medicine to help us to be properly disposed. 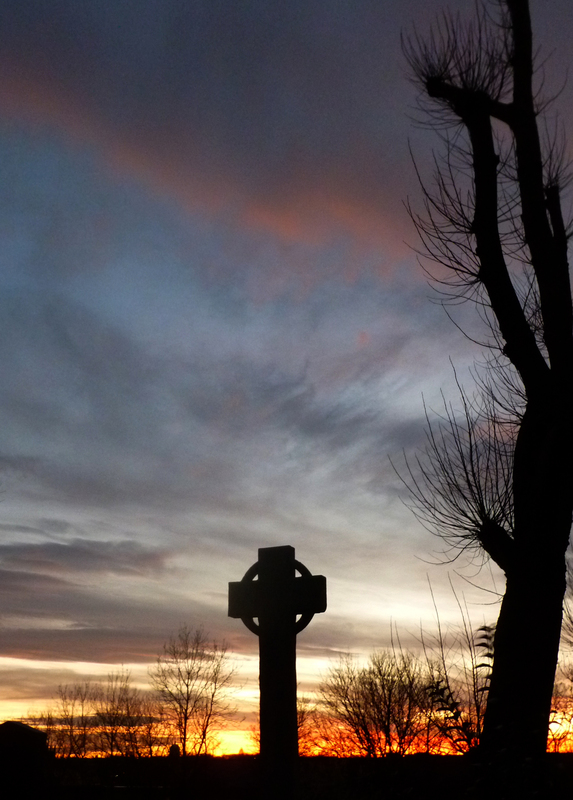 During this hour, heaven and earth are united as the angels and saints worship with us. What God created is good, and even though our human nature is fallen and we are prone to sin, God still has a great plan for us. In Christ and in His Church He has given us everything we need to live close to Him and experience His generous love and mercy. He expects us to also be generous, to believe in what He has revealed to us through the Scriptures and the Church, to trust Him and to share this Good News with others. This story is recounted in each of the Gospels. Sometimes she is given a name, as she is here in the Gospel of John, and in others she is simply, a woman. What I love about this story and so admire about this woman is how she did not care what the others thought of her extravagant worship of Jesus. She wanted Him to know how much He meant to her and ridicule and criticism were not going to stop her from showing her love and appreciation for the Man who healed her. 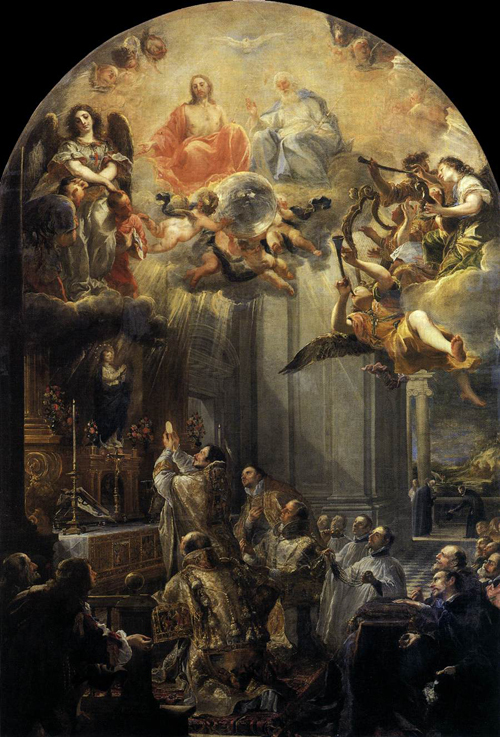 In my journey from cradle Catholic to fallen away Catholic to re-converted Catholic to practicing Catholic, I too have grown into a desire to extravagantly worship our merciful God who also has healed me. It starts as a tug of the heart. Would it be more reverent to take Communion on the tongue instead of in the hand? Our Catholic faith teaches either way is perfectly appropriate and I love how we are given the freedom to choose. I decide to try the tongue after years of the hand and have come to love this way of worship. Another tug. Should I wear a veil? I have been reading the debates of veiling vs. not and am completely comfortable with those (interestingly, the young women) who choose to veil, and others who do not. Again, our Catholic faith teaches either way is respectfully reverent and left up to the individual woman. I contemplate and decide it would draw too much attention to me, others would think I was now ‘one of those’ and besides, I am too much a product of the 1970s. One of the pilgrim women who recently traveled to the Holy Land with the Pilgrim Center of Hope had a private revelation during Mass in Bethlehem. Again, our faith teaches that we can choose to consider a private revelation or not, but when I heard this story, it pulled on the ‘little tugs’ I was already feeling in my contemplation. Of all the stories from this pilgrimage, why I was hearing this one? 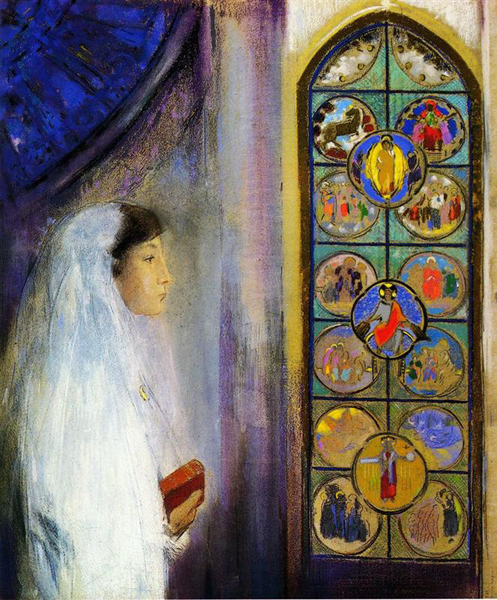 What was it about this woman’s story that inspired all the other women on the pilgrimage to buy veils that very day? I took this all to prayer. I wondered what would happen if thousands of women choose to veil. Would thousands of women, men and children forced from their homes, living in caves be lifted up in spirit, consoled and healed? Would thousands of persecutors drop their guns and fall to their knees? What bountiful grace would God pour down from this simple act of humility, reverence and obedience by His daughters? I decide if just one spirit is lifted, just one gun dropped, then I should just get over myself and the fear of ridicule and criticism. I also realize, I am not the one being persecuted, or forced from my home and having my city and Church demolished. I am just being asked to wear a veil for those who are. Still I confess, I am not comfortable with the lacy veils. So instead, I go to a retail store and purchase a plain, sheer white scarf. The first time was difficult. I felt self-conscious, I felt silly and so I thought of that woman who crashed the dinner party and asked for her intercession to give me courage. In the span of just one week, I wore the veil in front of strangers, family, friends and those I assume will criticize. Each time it has gotten easier and I am now growing to love this way of worship. Should you veil or not? Trust the ‘tug’ and find comfort that our Catholic faith says the choice is yours. Why would someone tell a saint to pray less? …etc. But while discussing this with some friends at Afternoon Tea last Thursday, I asked, “Why would his superiors have told him to pray less?” No one seemed to have a response. Why would anyone tell a saint to pray less? I was able to answer from personal experience. Obviously, I’m not a saint(! ), but I do wrestle with obsessive-compulsive tendencies, particularly in religious matters. At first, I was very embarrassed by this struggle, and resisted seeking help. (After all, our culture preaches the ‘virtue’ of self-reliance.) After submitting myself in prayer, however, the Holy Spirit convicted me that I needed to seek outside direction. Whether someone has a psychological struggle like mine or not, we all need guidance and direction from people other than ourselves. Even the saints. Even someone as holy as Aloysius, whose confessor (St. Robert Bellarmine) believed he had never committed a mortal sin in his entire life. In Aloysius’ case, he needed direction in maintaining a healthy life. We see a remarkable change after he submitted to his superiors: spiritual maturity, peace, and ecstatic joy. Dear reader, isn’t it true that when we rely on ourselves for spiritual direction, we become self-centered and lost—even when our intentions are good, like Aloysius’ were? Just one or two generations ago, it became ‘hip’ to exchange religion for nameless spirituality. What’s the difference? Religion requires authority. Families began breaking apart. Fast-forward to today: We as a society suffer from focus on self, what is ‘right for me’ and ‘best for me’. We are our own decision-makers. This is not to hail “The Good Ol’ Days”, but to highlight the dangerous results of cutting ourselves off from A.) community, and B.) spiritual authority. We have seen the effects; self-reliance, self-centeredness, relativism, etc., equal chaos and imbalance. What are you doing to seek direction from others? Whether you struggle with praying – or – working – or – eating – or – sleeping – or – talking – or – trusting … too much or too little—truly submit yourself to the Holy Spirit. Talk with Him about your struggles, your pain, your fears, your wounds. Ask where He is directing you to find assistance and direction. Listen. Seek people who have been given the spiritual authority to direct you. Like Aloysius, may we all find the peace and ecstatic joy ,which comes from the beautiful yet challenging virtue of obedience. A recent ad for Gold’s Gym caught my eye: “What will be your legacy?” I’m not sure what working out has to do with creating a legacy, but it made me think. I believe we all have an inner calling to make a difference in our lives; to have lived a life of significance. But what constitutes significance – is it success? If that is the case, then I suppose Howard Hughes might be our role model; after all, he was the richest man in the United States, worth 2.5 billion dollars when he died. He owned a private fleet of jets, hotels and casinos. He also spent the last 15 years of his life a drug addict. Or is significance proportional to our service to others and in doing the will of God through our daily lives? In which case, Our Lord Jesus Christ becomes our role model. But how do we follow God’s will? God does not provide MapQuest for his saints so they can be sure to understand the whole path of their pilgrimage here. Almost always He provides only one thing: the very next step. Not the next two steps. Not the next three steps. And like Abraham, He calls us to take the next step wholly blind as to what the next step that will follow. And make no mistake, being used by God sooner or later turns one’s world upside down. There are many whose lives have been profoundly impacted by their response to God’s highly inconvenient calling upon their lives. He disturbs us at His will. Human arrangements are disregarded, family ties ignored, business claims put aside. We are not asked if it is convenient. The Lord expects to be trusted. I propose that our legacy, how we will be remembered in this world, ultimately intersects with the fundamental dilemma of being human, always coming back to that one simple and yet often incredibly difficult choice, “My will or God’s will?” A choice we must make over…and over…and over again. 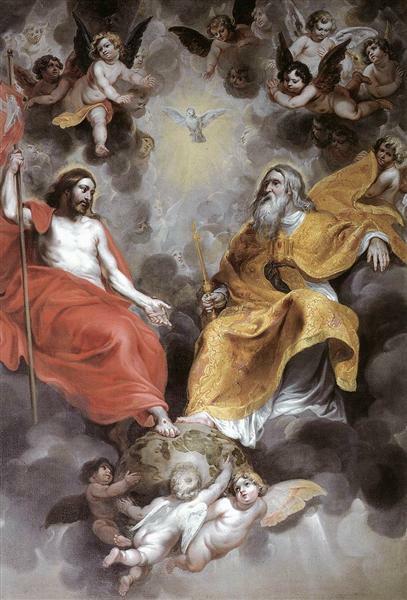 Today is the Solemnity of the Most Holy Trinity. Do you know when the Trinity was manifested for the first time? In the small village of Nazareth in the region of Galilee the Angel Gabriel appeared to the Virgin Mary and said, “Hail, Mary full of grace, the Lord is with you.” Then he told Mary that she would be the mother of the Son of the Most High by the power of the Holy Spirit. The first public manifestation was at the baptism of Jesus. Even though the Holy Trinity is a mystery beyond our understanding, it is the means God has chosen to unite himself to those who choose to believe what he has revealed to us through the Scriptures and the Church. We do not have to understand in order to believe. As a matter-of-fact, the opposite is true. Much of what God has revealed to us is mysterious, and yet these mysteries touch our lives in such a profound way that it is possible for us to live in a supernatural relationship with Almighty God. In Paul’s letter to the Romans he reminds them that if they are children of God, they are also heirs with Christ, “…if only we suffer with him so that we may also be glorified with him” (Romans 8:17). Being a child of God does not make us immune to suffering. However, when we unite our suffering with Christ, he gives us the graces we need to persevere, and even at times experience joy during our trials. We have been baptized in the name of the Father and of the Son and of the Holy Spirit and have received the gifts of the Holy Spirit. Our purpose for being on this earth is to bring to completion the good work that was begun in us at our baptism. God has a great plan for humanity that can only be realized in relationship with him. It is for this reason he has given us the Church and the sacraments. We must remember that in our humanity we inherited a fallen nature and often we are tempted to want to live for ourselves at the expense of others. God has made it possible for us to overcome these temptations that lead to sadness and even hopelessness. He desires to pour his grace into the hearts of those who believe in him. We need God; he created us to be in relationship with him. For this reason Jesus said, “I am the vine, you are the branches. Apart from me you can do nothing” (John 15:5). The only way we can discover God’s plan for us that will allow us to reach our potential for happiness and peace in this life is by being connected to Our Lord through fervent prayer, faithfulness to what he has revealed to us through the Church and the Scriptures, and living the sacramental life. In the last paragraph of the last chapter of the Gospel of Matthew it states, “When they (the Apostles) all saw him (Jesus) they worshiped but they doubted.” This would be the last time they would see Jesus before he would ascend into heaven. Jesus did not say to them, “Do you still not understand?” He said, “All power in heaven and on earth has been given to me. Go, therefore, and make disciples of all nations, baptizing them in the name of the Father, and of the Son, and of the Holy Spirit, teaching them to observe all that I have commanded you. And behold, I am with you until the end of the age.” It isn’t about the Apostles; it is about Jesus who will be with them always. In the same way our baptismal commission to share the Good News is not about us; it has to do with our relationship with Jesus and the Holy Spirit he promised to send to us. It would be good for us to make note of the promises that God has given us in the Scriptures; promises of the Father, of the Son and the Holy Spirit. One of those promises is again a mystery of our faith: through the prayers and actions of a priest, Jesus Christ himself will change bread and wine into his own Body and Blood. He loves us so much that he gives himself, body, blood soul and divinity to those who believe in him and are properly disposed. It is no casual thing that we receive this true and real presence of Jesus into our body and soul. Jesus wants us to cooperate with his presence and be transformed into his own likeness for our own good and the good of the whole Church. St. John Paul II said, “In that little host is the solution to all our problems.” In this Holy Sacrament we have all we need for even the most difficult experience of our life if we truly believe.